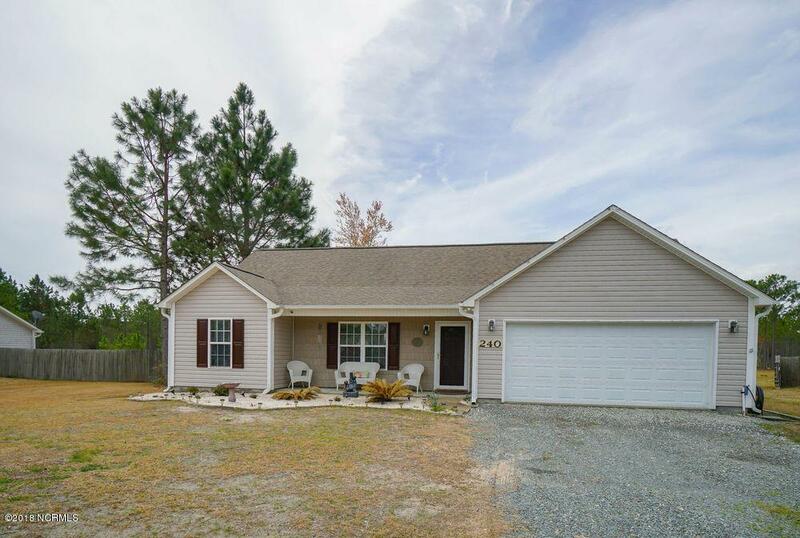 Beautiful ranch style home on a huge lot in Holly Ridge! The home offers a great open floor plan. The huge family room opens to a spacious kitchen and dining area with custom backslash, custom under cabinet lighting and lots of cabinet and counter top space. There is a large master suite with a tray ceiling, crown moldings and a huge walk in closet. The master bath boast a custom Glass shower door, dual vanities and a Jacuzzi tub, two additional sizable bedrooms. One of the bed rooms has been converted to a custom executive home office that can be changed back to a bedroom if so desired. To keep you warm on those chilly evenings the cozy living room includes a gas fireplace with custom glass tile and woodwork that shows distinction and elegance. (***see continued supplement remarks)In the home you will also find several custom features, WI-FI smart thermostat, Video security system with remote viewing and alerting, custom door handles throughout and a keyless main entry. A three year new air conditioning system. 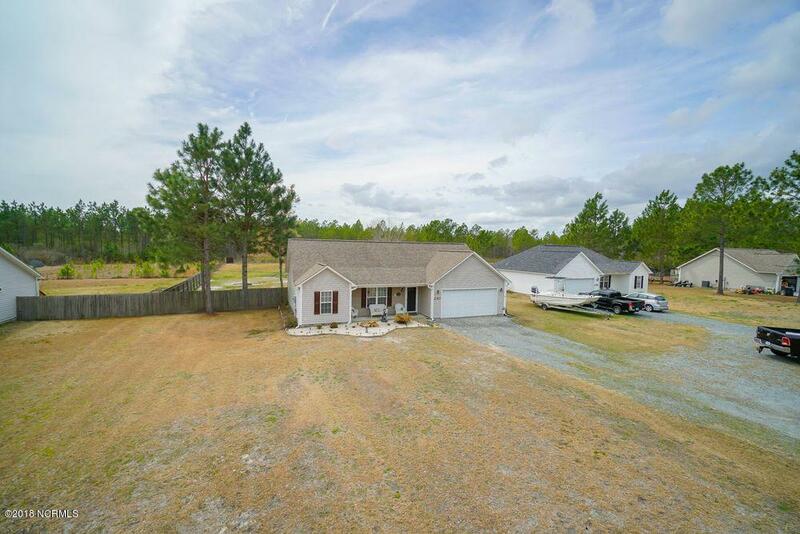 Outside you will find a large deck over looking the huge 1 acre property. This property backs to a natural area that is owned by the state so you can enjoy plenty of privacy. There is also a huge outdoor shed that is perfect for lawn equipment, beach toys, and more! 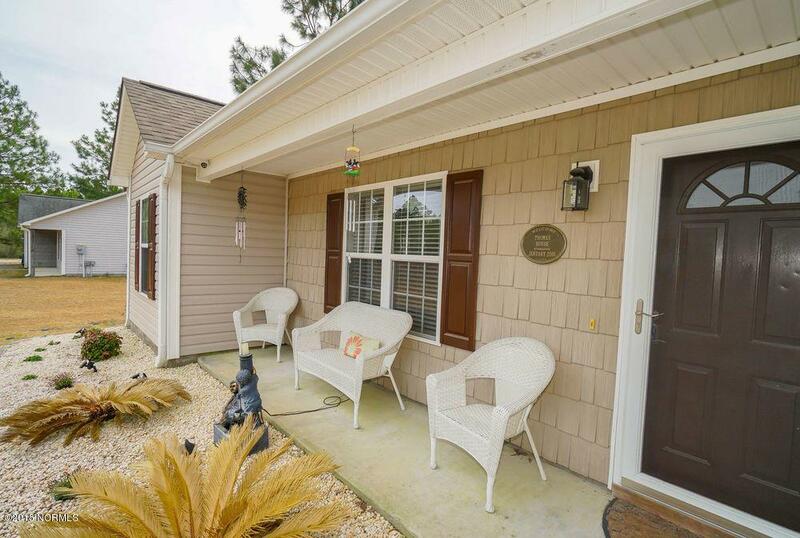 This home is conveniently located to the Jacksonville, Wilmington, and the local beaches. This home has it all so schedule your appointment today! 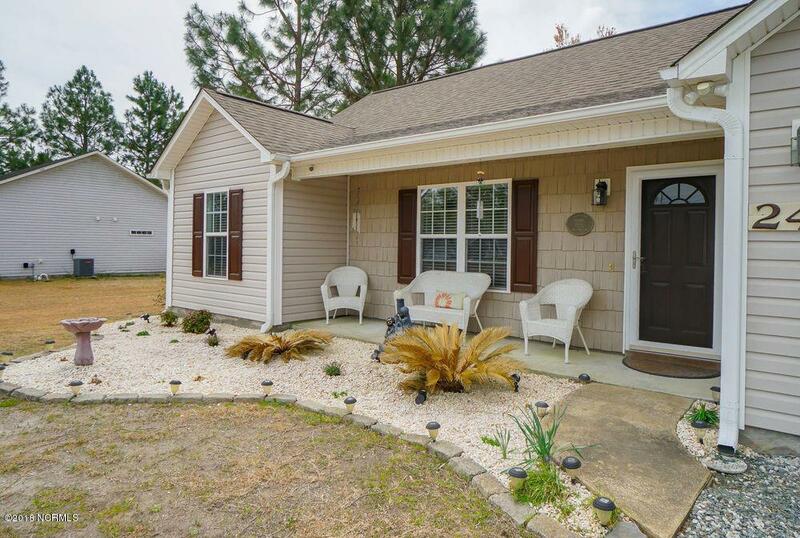 Listing provided courtesy of Jason A Allen of Century 21 Sweyer & Associates - Landfall.